Explore the Baltic Sea coast, and its islands and bays, on this extremely varied route including harbour towns, local artisans at work, restored ironworks, medieval castle ruins, national parks, and peaceful cycling roads though idyllic countryside. A foodies delight, choose dinner from small restaurants cooking with local ingredients, taste local beer from micro-breweries, and for the sweet-tooth there are little chocolate shops, cafes, and bakeries along the way. Staying the first 2 nights in Tammisaari, a small coastal town with a charming old section with old painted wooden houses. 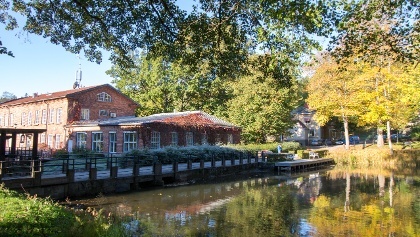 An in-land ride to Fiskars where you can see artisans at work and taste locally-produced beer and gin. DAY 7: Personal departure from Salo - - there are excellent train connections back to Helsinki.